78. 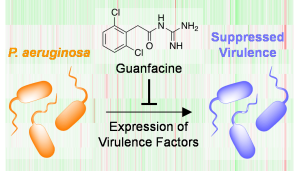 Okada, B. K.; Li, A.; Seyedsayamdost, M. R. Identification of the Hypertension Drug Guanfacine as an Anti-virulence Agent in Pseudomonas aeruginosa. 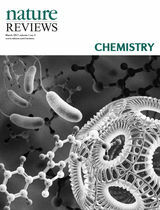 ChemBioChem 2019, In Press. 77. 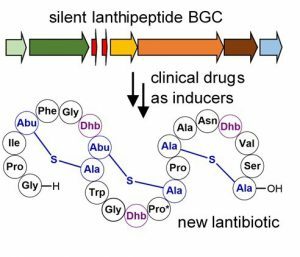 Moon, K.; Xu, F.; Seyedsayamdost, M. R. Cebulantin, A Cryptic Lanthipeptide Antibiotic Uncovered via Bioactivity-Coupled HiTES. Angew. Chem. Int. Ed. 2019, In Press. 76. 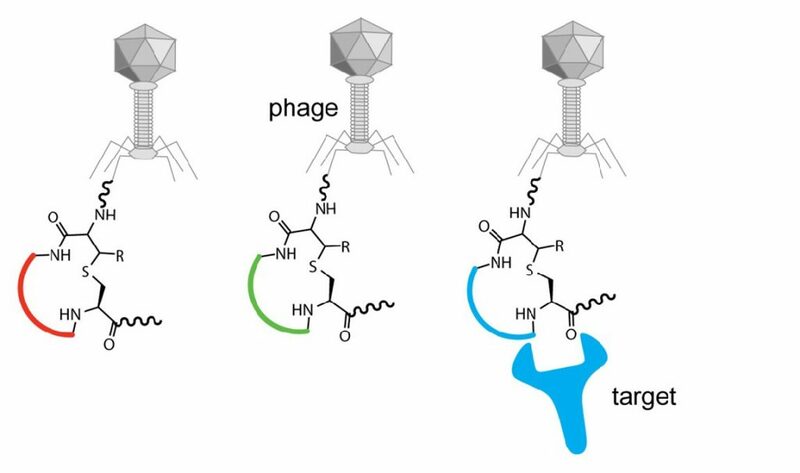 Moon, K.; Xu, F.; Zhang, C.; Seyedsayamdost, M. R. Bioactivity-HiTES Unveils Cryptic Antibiotics Encoded in Actinomycete Bacteria. ACS Chem. Biol. 2019, In Press. 75. 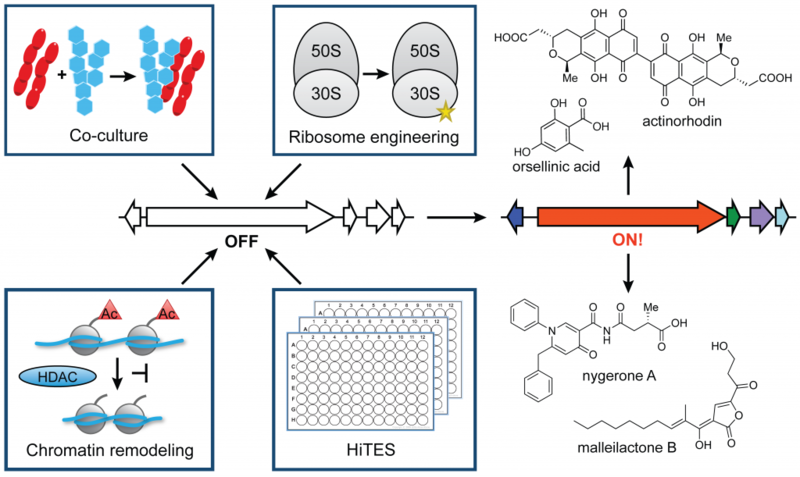 Seyedsayamdost, M. R. Toward a Global Picture of Bacterial Secondary Metabolism. J. Ind. Microbiol. Biotechnol. 2019, 46, 301–311. 74. Stubbe, J.; Seyedsayamdost, M. R. Discovery of a New Class I Ribonucleotide Reductase with an Essential DOPA Radical and NO Metal as an Initiator of Long-Range Radical Transfer. Biochemistry 2019, 58, 435–437. 73. Xu, F.; Wu, Y.; Zhang, C.; Davis, K. M.; Moon, K.; Bushin, L. B.; Seyedsayamdost, M. R. A Genetics-Free Method for High-Throughput Discovery of Cryptic Microbial Metabolites. Nat. Chem. Biol. 2019, 15, 161–168. 72. Caruso, A.; Bushin, L. B.; Clark, K. A.; Martinie, R. J.; Seyedsayamdost, M. R. A Radical Approach to Enzymatic β-Thioether Bond Formation. J. Am. Chem. Soc. 2019, 141, 990–997. 71. Bushin, L. B.; Clark, K. A.; Pelczer, I.; Seyedsayamdost, M. R. Charting an Unexplored Streptococcal Biosynthetic Landscape Reveals a Unique Peptide Cyclization Motif. J. Am. Chem. Soc. 2018, 140, 17674–17684. 70. McRose, D. L.; Seyedsayamdost, M. R.; Morel F. M. M. Multiple Siderophores: Bug or Feature? J. Biol. Inorg. Chem. 2018, 23, 983-993. 69. Wu, Y.; Seyedsayamdost, M. R. The Polyene Natural Product Thailandamide A Inhibits Fatty Acid Biosynthesis in Gram-Positive and Gram-Negative Bacteria. Biochemistry 2018, 57, 4247-4251. 68. McRose, D. L.; Baars, O.; Seyedsayamdost, M. R.; Morel, F. M. M. Quorum Sensing and Iron Regulate a Two-for-One Siderophore Gene Cluster in Vibrio harveyi. Proc. Natl. Acad. Sci. USA. 2018, 115, 7581-7586. 67. Mao, D.*; Okada, B. K.*; Wu, Y. *; Xu, F.; Seyedsayamdost, M. R. Recent Advances in Activating Silent Biosynthetic Gene Clusters in Bacteria. Curr. Opin. Microbiol. 2018, 45, 156-163. • Invited Submission for the “Antimicrobials” Special Issue edited by Profs. G. van Wezel & G. Wright. 66. 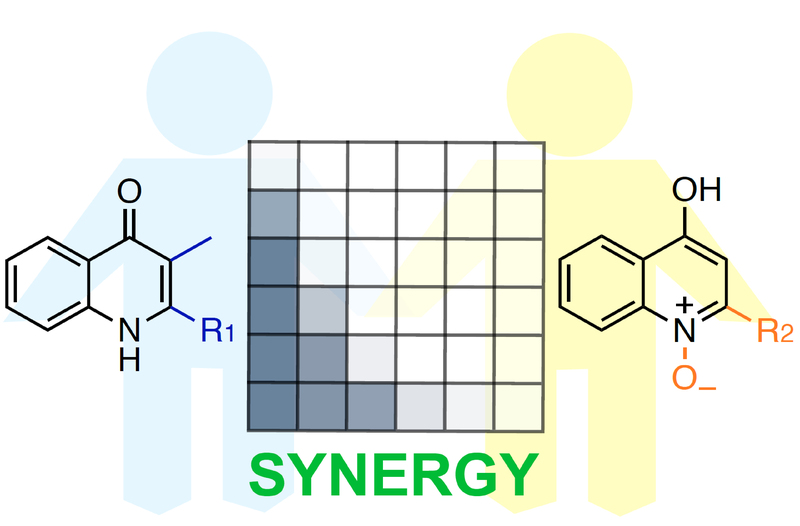 Ozturk, S.; Forneris, C. C.; Nguy, A. K. L.; Sorensen, E. J.; Seyedsayamdost, M. R. Modulating OxyB-Catalyzed Cross-Coupling Reactions in Vancomycin Biosynthesis by Incorporation of Diverse D-Tyr Analogs. J. Org. Chem. 2018, 83, 7309-7317. • Invited Submission for the “Synthesis of Antibiotics & Related Molecules” Special Issue edited by Profs. W. van der Donk, M. Movassaghi & K. Tatsuta. 65. Bushin, L. B.; Seyedsayamdost, M. R. Guidelines for Determining the Structures of Radical SAM Enzyme-Catalyzed Modifications in the Biosynthesis of RiPP Natural Products. Methods Enzymol. 2018, 606, 439–460. • Invited Submission for the “Radical SAM Enzymes” Special Issue edited by Prof. V. Bandarian. 64. Klaus, J. R.; Deay, J.; Neuenswander, B.; Hursh, W.; Gao, Z.; Bouddhara, T.; Williams, T. D.; Douglas, J.; Monize, K.; Martins, P.; Majerczyk, C.; Seyedsayamdost, M. R.; Peterson, B. R.; Rivera, M.; Chandler, J. R. Malleilactone is a Burkholderia pseudomallei virulence factor regulated by antibiotics and quorum sensing. J. Bacteriol. 2018, 14, 1-15. 63. Forneris, C. C.; Seyedsayamdost, M. R. In Vitro Reconstitution of OxyC Activity Enables Total Chemo-Enzymatic Syntheses of Vancomycin Aglycone Variants. Angew. Chem. Int. Ed. 2018, 57, 8048-8052. 62. Forneris, C. C.*; Ozturk, S.*; Sorensen, E. J.; Seyedsayamdost, M. R. Installation of Multiple Aryl Ether Crosslinks onto Non-native Substrate Peptides by the Vancomycin OxyB. Tetrahedron 2018, 74, 3231-3237. • Invited Submission for Prof. Herzon’s Tetrahedron Young Investigator Award Special Issue. 61. Gibson, M. I.; Seyedsayamdost, M. R. Small Biomolecules for Big Applications. ACS Cent. Sci. 2018, 4, 437-439. 60. Schramma, K. R.; Forneris, C. C.; Caruso, A.; Seyedsayamdost, M. R. Mechanistic Investigations of Lysine-Tryptophan Crosslink Formation Catalyzed by Streptococcal Radical SAM Enzymes. Biochemistry 2018, 57, 461-468. 59. Baars, O.; Zhang, X.; Gibson, M. I.; Stone, A. T.; Morel, F. M. M.; Seyedsayamdost, M. R. Crochelins, Siderophores with a Unprecedented Iron-Chelating Moiety from the Nitrogen-Fixing Bacterium Azotobacter chroococcum. Angew. Chem. Int. Ed. 2018, 57, 536-541. 58. 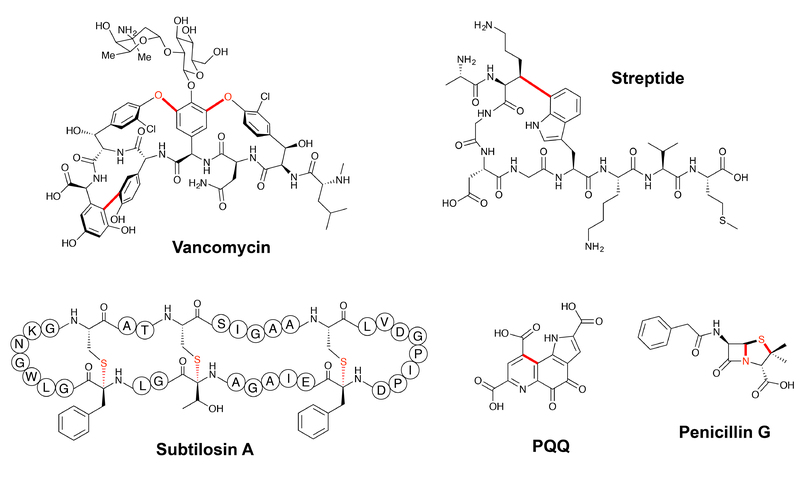 Wu, Y.; Seyedsayamdost, M. R. Synergy and Target Promiscuity Drive Evolutionary Divergence in Bacterial Alkylquinolone Biosynthesis. Cell Chem. Biol. 2017, 24, 1437-1444. 57. Wang, R.; Seyedsayamdost, M. R. (2017) Roseochelin B, an Algaecidal Natural Product Synthesized by the Roseobacter Phaeobacter inhibens in Response to Algal Sinapic Acid. Org. Lett. 19, 5138-5141. 56. Gibson, M. I.; Forneris, C. C.; Seyedsayamdost, M. R. Peptide Crosslinks Catalyzed by Metalloenzymes in Natural Products Biosynthesis. Invited Book Chapter Submission: “Cyclic Peptides” Edited by Jesko Koehnke, James Naismith, Wilfred A. van der Donk. RSC Press, pg. 141–163 (2017). 55. Rosen, P. C.; Seyedsayamdost, M. R. Though Much is Taken, Much Abides: Finding New Antibiotics Using Old Ones. Biochemistry 2017, 56, 4925-4926. 54. 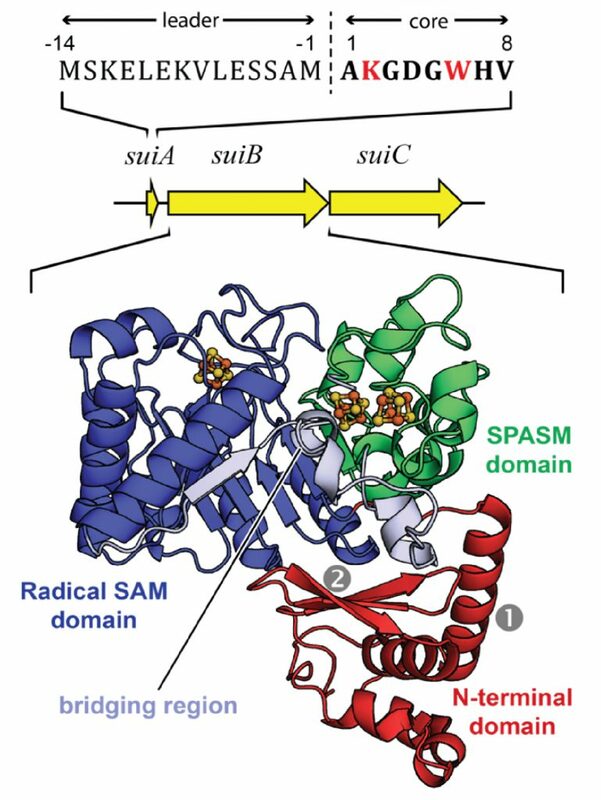 Davis, K. M.; Schramma, K. R.; Hansen, W. A.; Bacik, J. P.; Khare, S. D.; Seyedsayamdost, M. R.; Ando, N. Structures of the Peptide-Modifying Radical SAM Enzyme SuiB Elucidate the Basis of Substrate Recognition. Proc. Natl. Acad. Sci. USA 2017, 114, 10420-10425. 53. Forneris, C. C.; Ozturk, S.; Gibson, M. I.; Sorensen, E. J.; Seyedsayamdost, M. R. In Vitro Reconstitution of OxyA Enzymatic Activity Clarifies Late Steps in Vancomycin Biosynthesis. ACS Chem. Biol. 2017, 12, 2248-2253. 52. Xu, F.; Nazari, B. 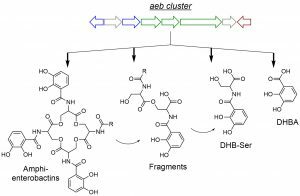 *; Moon, K.*; Bushin, L. B.; Seyedsayamdost, M. R. Discovery of a Cryptic Antifungal Compound from Streptomyces albus J1074 Using High-Throughput Elicitor Screens. J. Am. Chem. Soc. 2017, 139, 9203-9212. 51. Reece, S.Y. ; Seyedsayamdost, M. R. Long-Range Proton-Coupled Electron Transfer in the Escherichia coli Class 1a Ribonucleotide Reductase. Essays Biochem. 2017, 61, 281-292. 49. 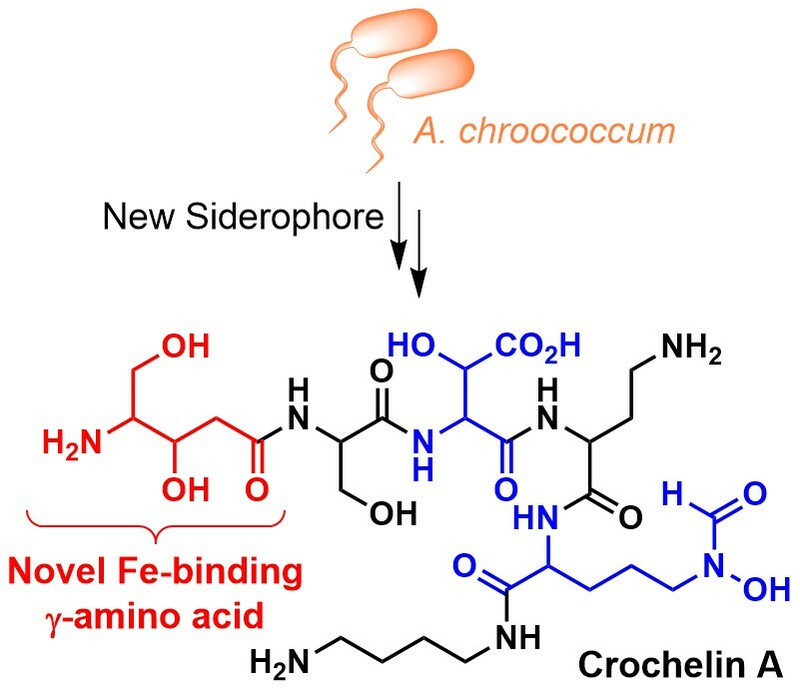 Schramma, K. R.; Seyedsayamdost, M. R. Lysine-Tryptophan-Crosslinked Peptides Produced by Radical SAM Enzymes in Pathogenic Streptococci. ACS Chem. Biol. 2017, 12, 922-927. 48. 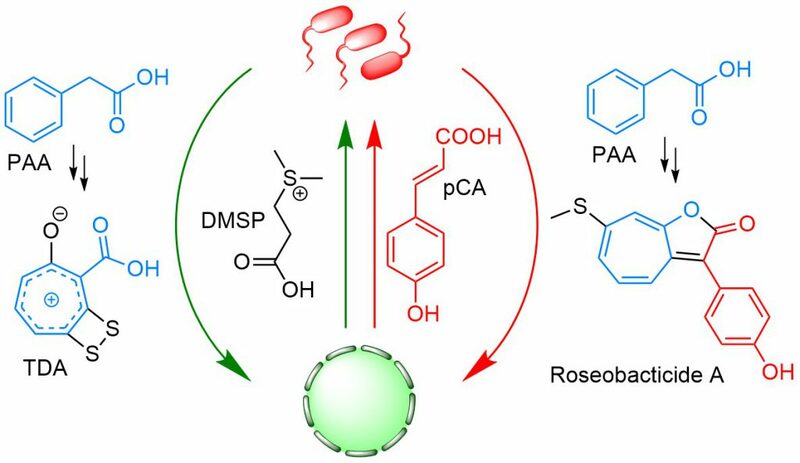 Wang, R.; Seyedsayamdost, M. R. Hijacking Exogenous Signals to Generate New Secondary Metabolites in Symbiotic Interactions. Nat. Rev. Chem. 2017, 1, 21. 47. Nazari, B.; Forneris, C. C.; Gibson, M. I.; Moon, K.; Schramma, K. R.; Seyedsayamdost, M. R. Nonomuraea sp. ATCC 55076 Harbours the Largest Actinomycete Chromosome to Date and the Kistamicin Biosynthetic Gene Cluster. Med. Chem. Commun. 2017, 8, 780-788. • Invited Submission for “New Talent: Americas” Special Issue. 46. Papenfort, K.; Silpe, J. E.; Schramma, K. R.; Cong, J.-P.; Seyedsayamdost, M. R.; Bassler, B. L. A Vibrio cholerae Autoinducer-Receptor Pair that Controls Biofilm Formation. Nat. Chem. Biol. 2017, 13, 551-557. 45. Seyedsayamdost, M. R. Talking with Molecules: Marine Bacteria and Microalgae. Invited Book Chapter Submission: “The Chemistry of Microbimes” Edited by Tina Bahadori, Carole Bewley, Edward DeLong, Jim Fredrickson, Barabara Gerratana, David Rockcliffe. The National Academies Press, pg. 77–84 (2017). 44. Metelev, M.; Arseniev, A.; Bushin, L. B.; Kuznedelov, K.; Artamonova, T. O.; Kondratenko, R.; Khodorkovskii, M.; Seyedsayamdost, M. R.; Severinov, K. Acinetodin and Klebsidin, RNA Polymerase Targeting Lasso Peptides Produced by Human Isolates of Acinetobacter gyllenbergii and Klebsiella pneumoniae. ACS Chem. Biol. 2017, 12, 814-824. 43. Okada, B. K.; Seyedsayamdost, M. R. Antibiotic Dialogues: Induction of Silent Biosynthetic Gene Clusters by Exogenous Small Molecules. FEMS Microbiol. Rev. 2017, 41, 19–33. 42. Okada, B. K.*; Wu, Y. *; Mao, D.; Bushin, L. B.; Seyedsayamdost, M. R. Mapping the Trimethoprim-Induced Secondary Metabolome of Burkholderia thailandensis. ACS Chem. Biol. 2016, 11, 2124–2130. 41. Wang, R.; Gallant, É.; Seyedsayamdost, M. R. Investigation of the Genetics and Biochemistry of Roseobacticide Production in the Roseobacter Clade Bacterium Phaeobacter inhibens. mBio 2016, 7, e02118. 39. Baars, O.; Zhang, X.; Morel, F. M.; Seyedsayamdost, M. R. The Siderophore Metabolome of Azotobacter vinelandii. Appl. Environ. Microbiol. 2015, 82, 27-39. 38. Truong, T. T.; Seyedsayamdost. M. R.; Greenberg, E. P.; Chandler, J. R. A Burkholderia thailandensis Acyl-Homoserine Lactone-Independent Orphan LuxR Homolog that Activates Production of the Cytotoxin Malleilactone. J. Bacteriol. 2015, 197, 3456-3462. 37. Schramma, K. R.*; Bushin, L. B. *; Seyedsayamdost, M. R. Structure and Biosynthesis of a Macrocyclic Peptide Containing an Unprecedented Lysine-to-Tryptophan Crosslink. Nature Chem. 2015, 7, 431-437. 36. Seyedsayamdost, M. R.*; Wang, R.; Kolter, R.; Clardy, J. * Hybrid Biosynthesis of Roseobacticides from Algal and Bacterial Precursor Molecules. J. Am. Chem. Soc. 2014, 136, 15150-15153. 35. Seyedsayamdost, M. R. High-Throughput Platform for the Discovery of Elicitors of Silent Bacterial Gene Clusters. Proc. Natl. Acad. Sci. USA 2014, 111, 7266-7271. 34. Seyedsayamdost, M. R.; Clardy J. Natural Products and Synthetic Biology. ACS Synth. Biol. 2014, 3, 745-747. 33. Wörsdörfer, B. A.; Conner, D. A.; Yokoyama, K.; Livada, J.; Seyedsayamdost, M. R.; Jiang, W.; Silakov, A.; Stubbe, J.; Bollinger, J. M. Jr.; Krebs, C. J. Function of the diiron cluster of the Escherichia coli class Ia ribonucleotide reductase in proton-coupled electron transfer. J. Am. Chem. Soc. 2013, 135, 8585-8593. 32. Chandler, J. R.; Truong, T. T.; Silva, P. M.; Seyedsayamdost, M. R.; Carr, G.; Radey, M.; Jacobs, M. A.; Sims, E. H.; Clardy, J.; Greenberg, E. P. Bactobolin resistance is conferred by mutations in the L2 ribosomal protein. MBio 2012, 3, e0049-e00512. 31. Seyedsayamdost, M. R.; Traxler, M. F.; Clardy, J.; Kolter, R. Old meets new: using interspecies interactions to detect secondary metabolite production in actinomycetes. Methods Enzymol. 2012, 517, 89-109. 30. Adler, C.; Corbalan, N. S.; Seyedsayamdost, M. R.; Pomares, M. F.; de Cristobal, R. E.; Clardy, J.; Kolter, R.; Vincent, P. A. Catecholate siderophores protect bacteria from pyochelin toxicity. 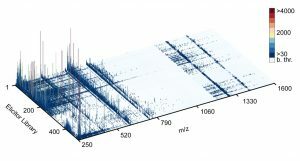 PloS one 2012, 7, e46754-e46760. 29. 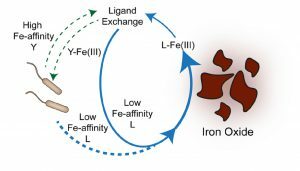 Traxler, M. F.; Seyedsayamdost, M. R.; Clardy, J.; Kolter, R. Interspecies modulation of bacterial development through iron competition and siderophore piracy. Mol. Microbiol. 2012, 86, 628-644. 28. Seyedsayamdost, M. R.; Cleto, S.; Carr, G.; Vlamakis, H.; Vieira, M. J.; Kolter, R.; Clardy, J. Mixing and Matching Siderophore Clusters: Structure and Biosynthesis of Serratiochelins from Serratia sp. V4. J. Am. Chem. Soc. 2012, 134, 13550-13553. 27. Fernandes, N.; Case, R. J.; Longford, S. R.; Seyedsayamdost, M. R.; Steinberg, P. D.; Kjelleberg, S.; Thomas, T. Genomes and virulence factors of novel bacterial pathogens causing bleaching disease in the marine red alga Delisea pulchra. PloS one 2011, 6, e27387-e27398. 26. Seyedsayamdost, M. R.; Carr, G.; Kolter, R.; Clardy, J. Roseobacticides: Small Molecule Modulators of an Algal-Bacterial Symbiosis. J. Am. Chem. Soc. 2011, 133, 18343-18349. 25 Seyedsayamdost, M. R.; Traxler, M. F.; Zheng, S.-L.; Kolter, R.; Clardy, J. Structure and Biosynthesis of Amychelin, an Unusual Mixed-Ligand Siderophore from Amycolatopsis sp. AA4. J. Am. Chem. Soc. 2011, 133, 11434-11437. 24. Carr, G.; Seyedsayamdost, M. R.; Chandler, J. R.; Greenberg, E. P.; Clardy, J. Sources of Diversity in Bactobolin Biosynthesis by Burkholderia thailandensis E264. Org. Lett. 2011, 13, 3048-3051. 23. Seyedsayamdost, M. R.; Case, R. J.; Kolter, R.; Clardy, J. The Jekyll-and-Hyde chemistry of Phaeobacter gallaeciensis. Nature Chem. 2011, 3, 331-335. 22. Seyedsayamdost, M. R.; Yee, C. S.; Stubbe, J. Use of 2,3,5-F3Y-ß2 and 3-NH2Y-α2 to Study Proton-Coupled Electron Transfer in Escherichia coli Ribonucleotide Reductase. Biochemistry 2011, 50, 1403-1411. 21. Minnihan, E. C.; Seyedsayamdost, M. R.; Uhlin, U.; Stubbe, J. Kinetics of Radical Intermediate Formation and Deoxynucleotide Production in 3-Aminotyrosine-Substituted Escherichia coli Ribonucleotide Reductases. J. Am. Chem. Soc. 2011, 133, 9430-9440. 20. Seyedsayamdost, M. R.; Chandler, J. R.; Blodgett, J. A. V.; Lima, P. S.; Duerkop, B. A.; Oinuma, K.-I. ; Greenberg, E. P.; Clardy, J., Quorum-Sensing-Regulated Bactobolin Production by Burkholderia thailandensis E264. Org. Lett. 2010, 12, 716-719. 19. Seyedsayamdost, M. R.; Stubbe, J. Replacement of Y730 and Y731 in the α2 Subunit of Escherichia coli Ribonucleotide Reductase with 3-Aminotyrosine Using an Evolved Suppressor tRNA/tRNA Synthetase Pair. Methods Enzymol. 2009; 462, 45-76. 18. Seyedsayamdost, M. R.; Argirevic, T.; Minnihan, E. C.; Stubbe, J.; Bennati, M. Structural Examination of the Transient 3-Aminotyrosyl Radical on the PCET Pathway of E. coli Ribonucleotide Reductase by Multifrequency EPR Spectroscopy. J. Am. Chem. Soc. 2009, 131, 15729-15738. 17. Reece, S. Y.; Lutterman, D. A.; Seyedsayamdost, M. R.; Stubbe, J.; Nocera, D. G. Re(bpy)(CO)(3)CN as a Probe of Conformational Flexibility in a Photochemical Ribonucleotide Reductase. Biochemistry 2009, 48, 5832-5838. 16. Offenbacher, A. R.; Vassiliev, I. R.; Seyedsayamdost, M. R.; Stubbe, J.; Barry, B. A. Redox-Linked Structural Changes in Ribonucleotide Reductase. J. Am. Chem. Soc. 2009, 131, 7496-7497. 15. Minnihan, E. C.; Seyedsayamdost, M. R.; Stubbe, J. Use of 3-Aminotyrosine To Examine the Pathway Dependence of Radical Propagation in Escherichia coli Ribonucleotide Reductase. Biochemistry 2009, 48, 12125-12132. 14. Seyedsayamdost, M. R.; Yee, C. S.; Stubbe, J. Site-specific incorporation of fluorotyrosines into the R2 subunit of E. coli ribonucleotide reductase by expressed protein ligation. Nat. Protoc. 2007, 2, 1225-1235. 13. Seyedsayamdost, M. R.; Chan, C. T. Y.; Mugnaini, V.; Stubbe, J.; Bennati, M. PELDOR spectroscopy with DOPA-beta 2 and NH2Y-alpha 2s: Distance measurements between residues involved in the radical propagation pathway of E-coli ribonucleotide reductase. J. Am. Chem. Soc. 2007, 129, 15748-15749. 12. Seyedsayamdost, M. R.; Xie, J.; Chan, C. T. Y.; Schultz, P. G.; Stubbe, J. Site-specific insertion of 3-aminotyrosine into subunit α2 of E. coli ribonucleotide reductase: Direct evidence for involvement of Y730 and Y731 in radical propagation. J. Am. Chem. Soc. 2007, 129, 15060-15071. 11. Reece, S. Y.; Seyedsayamdost, M. R.; Stubbe, J.; Nocera, D. G. Direct observation of a transient tyrosine radical competent for initiating turnover in a photochemical ribonucleotide reductase. J. Am. Chem. Soc. 2007, 129, 13828-13830. 10. Reece, S. Y.; Seyedsayamdost, M. R.; Stubbe, J.; Nocera, D. G. Photoactive peptides for light-initiated tyrosyl radical generation and transport into ribonucleotide reductase. J. Am. Chem. Soc. 2007, 129, 8500-8509. 9. Seyedsayamdost, M. R.; Stubbe, J. Forward and reverse electron transfer with the Y356DOPA-β2 heterodimer of E. coli ribonucleotide reductase. J. Am. Chem. Soc. 2007, 129, 2226-2227. 8. Reece, S. Y.; Seyedsayamdost, M. R.; Stubbe, J.; Nocera, D. G. Electron transfer reactions of fluorotyrosyl radicals. J. Am. Chem. Soc. 2006, 128, 13654-13655. 7. Seyedsayamdost, M. R.; Stubbe, J. Site-specific replacement of Y356 with 3,4-dihydroxyphenylalanine in the β2 subunit of E. coli ribonucleotide reductase. J. Am. Chem. Soc. 2006, 128, 2522-2523. 6. Seyedsayamdost, M. R.; Reece, S. Y.; Nocera, D. G.; Stubbe, J. Mono-, di-, tri-, and tetra-substituted fluorotyrosines: New probes for enzymes that use tyrosyl radicals in catalysis. J. Am. Chem. Soc. 2006, 128, 1569-1579. 5. Seyedsayamdost, M. R.; Yee, C. S.; Reece, S. Y.; Nocera, D. G.; Stubbe, J. pH rate profiles of FnY356-R2s (n=2, 3, 4) in Escherichia coli ribonucleotide reductase: Evidence that Y-356 is a redox-active amino acid along the radical propagation pathway. J. Am. Chem. Soc. 2006, 128, 1562-1568. 4. Guillen Schlippe, Y. V.; Riera, T. V.; Seyedsayamdost, M. R.; Hedstrom, L. Substitution of the conserved Arg-Tyr dyad selectively disrupts the hydrolysis phase of the IMP dehydrogenase reaction. Biochemistry 2004, 43, 4511-21. 3. Yee, C. S.; Seyedsayamdost, M. R.; Chang, M. C. Y.; Nocera, D. G.; Stubbe, J., Generation of the R2 subunit of ribonucleotide reductase by intein chemistry: Insertion of 3-nitrotyrosine at residue 356 as a probe of the radical initiation process. Biochemistry 2003, 42, 14541-14552. 2. Hedstrom, L.; Gan, L.; Schlippe, Y. G.; Riera, T.; Seyedsayamdost, M. IMP dehydrogenase: the dynamics of drug selectivity. Nucleic Acids Res. Supp. 2003, 3, 97-8. 1. Gan, L.; Seyedsayamdost, M. R.; Shuto, S.; Matsuda, A.; Petsko, G. A.; Hedstrom, L. The immunosuppressive agent mizoribine monophosphate forms a transition state analogue complex with inosine monophosphate dehydrogenase. Biochemistry 2003, 42, 857-863.